The “War to End All Wars” came to an end on the 11th hour of the 11th day of the 11th month in 1918. A year later on Nov. 11, 1919, President Woodrow Wilson proclaimed the first Armistice Day, the precursor to what we now call Veterans Day. This commemoration was dedicated to the cause of world peace in honor of those who served in World War I. Over 30 nations were at war between 1914 and 1918. World War I was the first truly modern war, with the introduction of air warfare and tanks, while 65 million troops worldwide fought in its battles. The United States entered the war in 1917. Nearly 5 million men and women served our country during the conflict, with 116,516 lives lost. In 1954, Armistice Day became Veterans Day, which now pays tribute to all veterans who served our country in peacetime and in war. Today, 18.2 million veterans live in the United States and Puerto Rico, according to Census Bureau data. 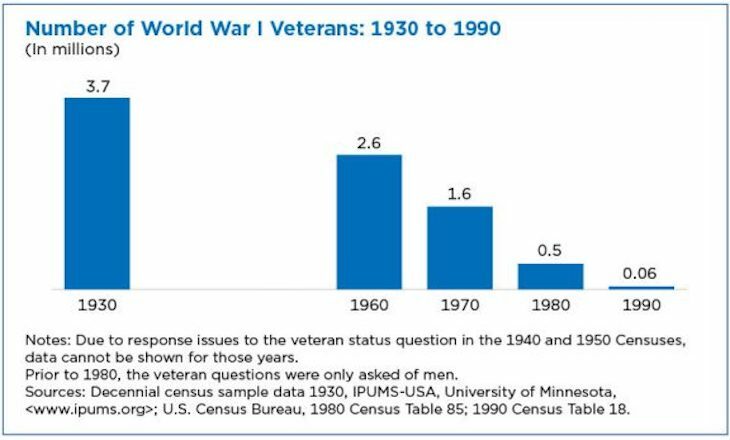 In fact, the first post-war decennial census to include a veteran status question was in 1930. 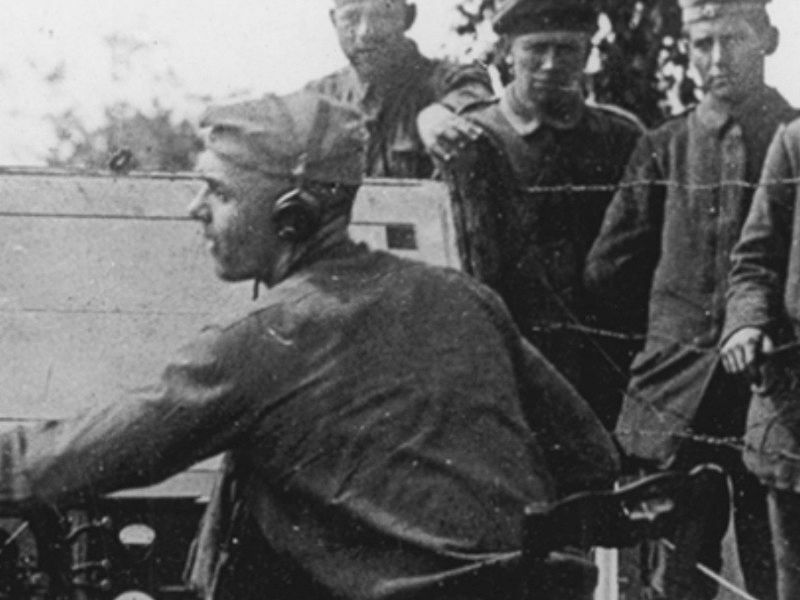 Twelve years after the end of the war, we counted 3.7 million veterans of The Great War. The 1990 Census, 72 years after the war’s end, was the last time World War I was included as a period of military service. At that time, roughly 62,000 veterans remained. The last known surviving U.S. World War I veteran, Frank Buckles, died in 2011. Kelly Ann Holder is survey statistician in the Census Bureau’s Demographic Programs Directorate.